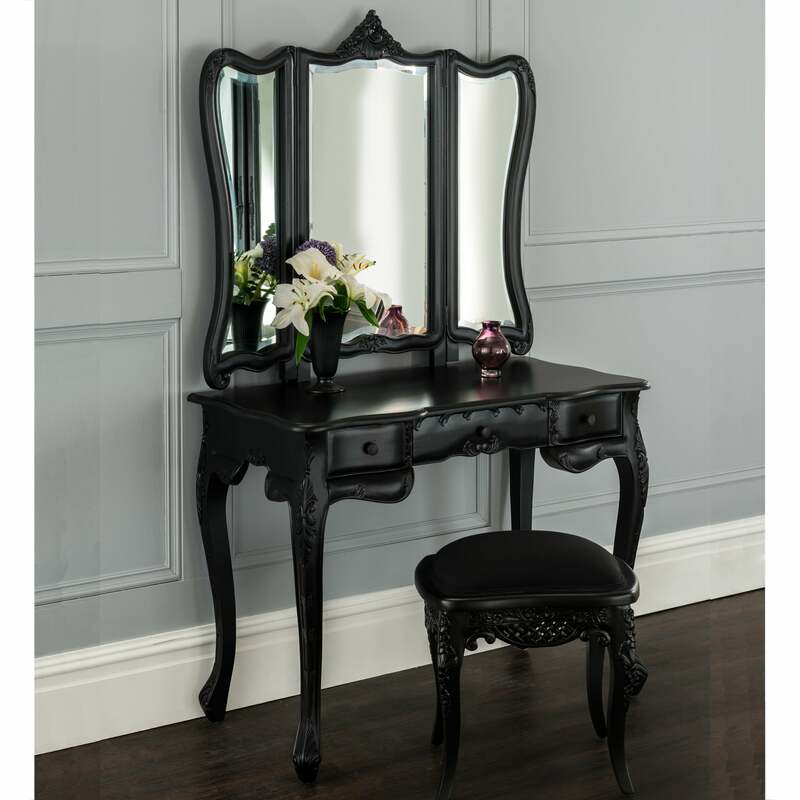 La Rochelle Black Antique French Dressing Table hand carved, in a stunning antique black finish. Invite a touch of antique French elegance into your home with this Antique French Dressing Table from our award-winning antique French painted bedroom collection. Dressing table comes with mirror. La Rochelle Black Antique French Stool hand carved, in a stunning antique black finish. Invite a touch of antique French elegance into your home with this antique French Stool from our award-winning antique French painted bedroom collection. 45 x 40 x 43 cm.